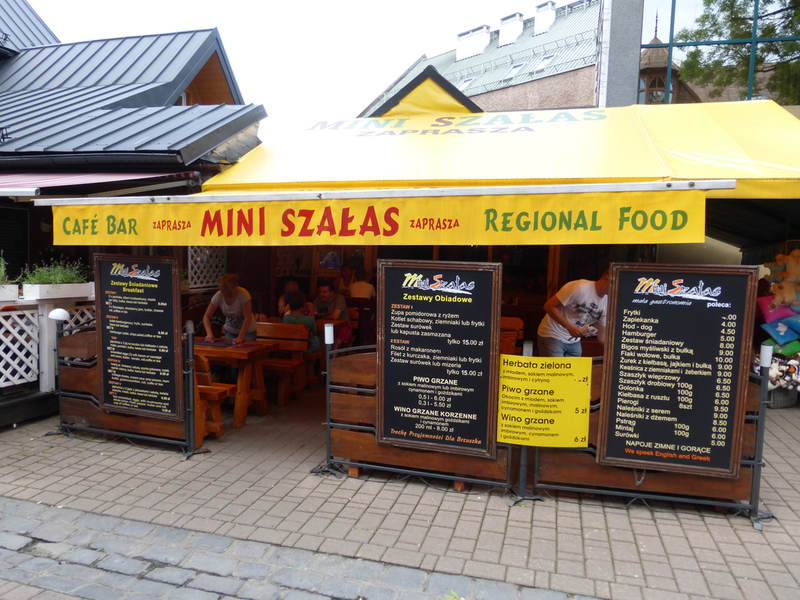 Here’s the place that attracted our attention for a good sit-down meal for a late lunch or early dinner. The Pierogi caught my attention. I ordered the Spinach Pierogi for 12zl. When the waitress brought it, swimming in butter, I had one bite and was in heaven. I know I took photos of it, but don’t know what happened to those photos. So I can only share a photo of the restaurant and show you its menus. The menus: Click for full size to read them. Dorota needed to get back to work so our mini holiday was ending soon. We were taking a bus back to Krakow by dark. Dorota was worried about me having a place to stay. I wasn’t. I had called Joanna, a woman with whom I’d stayed the first time I came through Krakow because she’d told me to call when I returned. Besides, I can always walk into the hostel next to the JCC that I’d already checked out. But to alleviate her nervousness, as we ate, I used my iPhone to book that hostel. Not long after we left the restaurant, I got a call back from Joanna. She’d arranged for me to stay with her friend near her own home. I thanked her and told her that I’d booked the hostel. That as I’d arrive very late, it was for the best. Dorota said, “Oh, and I was so worried about it. Now I understand.” Something always does work out.